On Tuesday 2nd April #TeamReays were delighted to visit Borough Park as the Match Sponsors for Workington AFC (Reds) versus Mickleover Sports. In a rearranged fixture, Reds hosted Mickleover Sports where defeat for either side was unthinkable as both battle to avoid relegation. The atmosphere within the ground was spirited to say the least with local supporters cheering on the home lads throughout the 90 minutes, but unfortunately despite dominating the match and having plenty of opportunities, it didnt go the Reds way and Mickleover Sports left victorious with a 1 - 0 win. We would like to take this opportunity to thank Darrell and everyone else at the club for a super evening. The hospitality was fantastic, and we look forward to returning next season to support the team. We are delighted to announce that we have successfully purchased Escape 2 Travel which will allow us to grow and develop our full range of services in South Lakes, with our new depot based in Barrow. Here is Managing Director, Chris Reay, shaking hands on the deal with John Hutton. Reays Coaches, a Cumbrian family run business were announced as winners of the Holiday Programme of the Year category. This award is open to all UK based operators that operates a programme of coach holidays. The judges were looking for a programme that demonstrates innovation and creativity, in a brochure that is easy to navigate with clear price points and an easy-to-understand summary of what the tour and price includes. With so many brochures now meeting this criteria, the judges recognised and awarded Reays for offering something that stands out from the crowd. 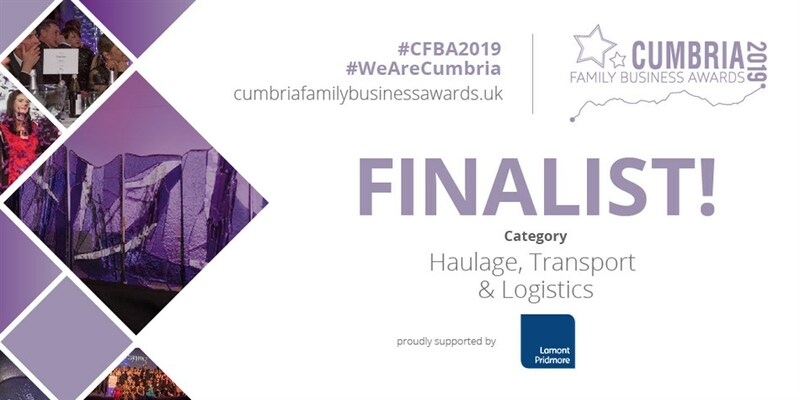 The award followed Reays winning Best Cumbrian Family Business in the Transport, Haulage and Logistics category of the Cumbria Family Business Awards earlier in March where a star-studded ceremony hosted by The Hairy Bikers in Windermere saw a celebration of the fantastic contribution family businesses make to the wonderful county of Cumbria. Head of Sales and Marketing at Reays Coaches, Kerrie Allison said: "To be recognised and celebrated as the Best Cumbrian Family Business and then be subsequently recognised at a national level for our coach holiday programme is an amazing achievement and I'm incredibly proud and thankful to all our team who have contributed to this success and to the judges of both awards ceremonies, it really is an honour." On Saturday 2 March 2019 we were delighted to be the match sponsor for Carlisle v Blackburn. With Carlisle being top of the league and Blackburn only 11 points behind it was set to be a thrilling match with Blackburn determined to reduce the gap between the two clubs. Frustratingly for Carlisle it was Blackburn that scored first after 14 minutes and this was the only try until 5 minutes before half time when Carlisle managed to equalise with a try from winger Ben Littleton. The second half saw Blackburn take back the lead from the home side and at around the 60 minute mark Blackburn were leading the home side 17 -8. At this point the gap was closed with a try from Dan Holmes being successfully converted and bringing the score to 15-17. Unfortunately for Carlisle they couldnt close the gap anymore and Blackburn increased their lead, scoring another try and successfully converting this with only 13 minutes left of the game. As the referee blew the final whistle the score was 23-19 to Blackburn. Although this was not the result we were hoping for the game had everyone gripped and ensured that all at #TeamReays along with our guests had an enjoyable day despite the miserable weather! operator has been shortlisted for not one, but two prestigious awards. Reays have been shortlisted in the Holiday Programme of the Year category at the long established and greatly respected British Coach Tourism Awards and announced as a finalist in the Transport, Haulage and Logistics category for Cumbria Family Business Awards. 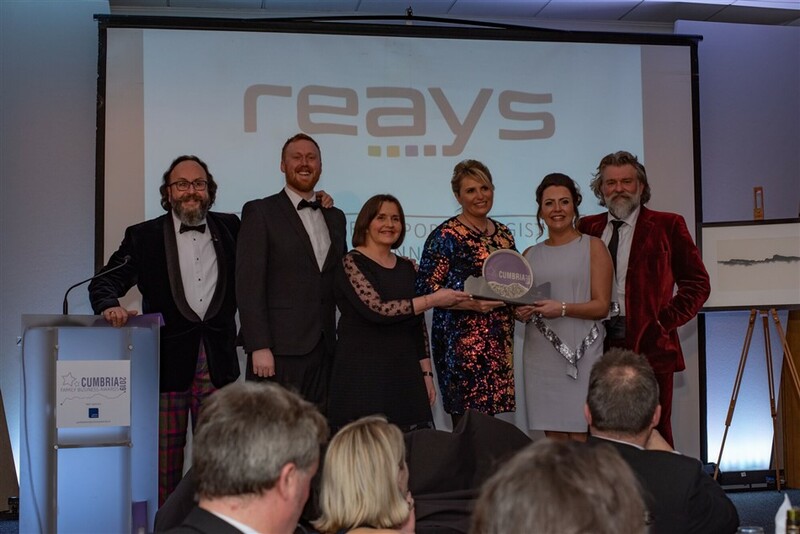 Kerrie Allison, Head of Sales & Marketing at Reays Coaches said: We are absolutely delighted that Reays has been recognised in two very different, but equally exciting awards categories, celebrating the best of the industries we work in both at a national and at a county level. Delivering world class customer service consistently in todays world of economic and political challenges isnt easy but we are surviving and thriving thanks to our fabulous fleet of vehicles, the drive and determination of our people and our customers who appreciate the Reays difference. 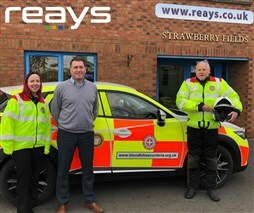 Following another successful year of operating a Charity of the Year initiative, Reays Coaches are delighted to announce Blood Bikes Cumbria as their new charity partner from January 2019. 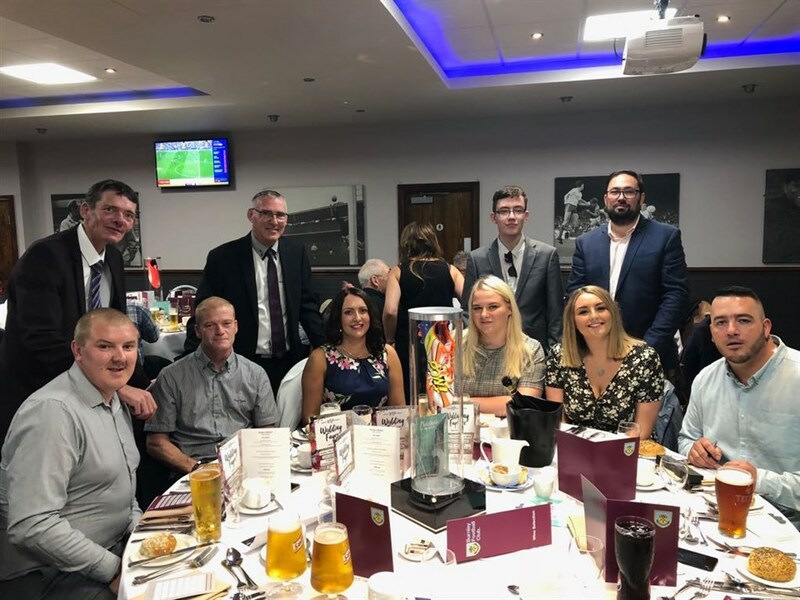 On Monday 26th November we were delighted to attend Burnley Football Club as the 'Match Sponsor' where we enjoyed a full evening of matchday hospitality for the Burnley FC versus Newcastle United Premiership football match. After a late afternoon journey to Turf Moor we arrived at 17:30 where we were warmly greeted and directed to the 1882 Lounge. Here we enjoyed a delicious meal and some light entertainment from the welcome host Jeff Brown. As part of our sponsorship experience two of our guests for the evening Robbie Mather and Ben Crystal from Burnett's Solicitors presented the matchball to the team captains before kick-off, while after the full time whistle was blown Lauren Dobson and Shaun Murphy from our team presented Burnley's Man of the Match to the very deserving Sam Vokes. Although the result did go not go Burnleys way, they are truly a Northern club with a huge heart and fantastic following. We are proud supporters of Burnley and have the massive honour of transporting them throughout the UK on their away games. The season may not be going there way but we will be with them, supporting them throughout the good and the bad. Good luck for the rest of the season and we look forward to seeing all the team at the weekend for their match against Crystal Palace. With Christmas fast approaching we were delighted to attend the Crown & Mitre Christmas Fayre in aid of CFM's, Cash for Kids appeal. It is often difficult to find the right present for loved ones and Christmas Fayres are a great opportunity to find something a little different! Reays were delighted to promote our range of services including our holidays, day excursions and gift vouchers - all of which make the perfect gift this Christmas. Well done to the organisers of the fayre. The day was a great success being well attended by the people of Carlisle, for such a worthy cause and supporting the local businesses big and small from the area. West was the way during the week beginning 12th November as our Sales and Marketing team were prominently based within Dunmail Park shopping centre at Workington all week, showcasing our new 2019 holiday brochure. Throughout the week different members of our team were on hand promoting our new range of holidays across the UK, Ireland and Europe, our fleet of vehicles available for private hire, private school transport services as well as day excursions. It was great to catch up with so many existing customers, as well as meet potential new ones. We are delighted to showcase two new coaches, uniquely liveried to commemorate 100 years since the end of World War I. The new coaches are based in West Cumbria and run daily commuter routes to and from Sellafield. Managing Director of Reays Coaches, Chris Reay said: It is important that we remember those whose lives that were affected irrevocably, and those that were lost, not only in the first world war, but in every instance of conflict since. As Remembrance Sunday approaches, the initiative is a gesture of appreciation to honour anyone who has fought for our country. Supporting Remembrance Sunday is important to Reays, we have a number of employees, friends and family members who are ex-service men and women as well as those who are still serving the armed forces. 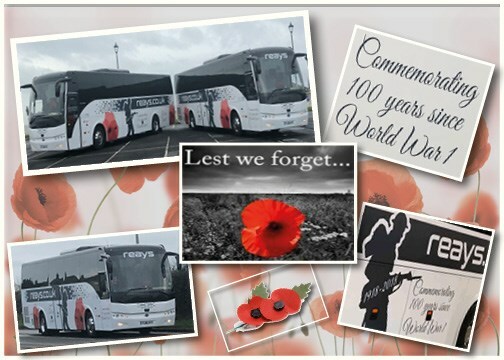 Every year we support Remembrance Sunday with poppys displayed on our service buses and with this year, being the 100-year anniversary, we wanted to further show our respect and gratitude to our fallen heroes. On Sunday 11th November our two coaches will be offering complimentary travel to both Workington and Whitehaven Town Councils to those who do not wish, or may struggle to follow the processions organised by both councils to the United Reformed Church in Whitehaven and St Johns Church in Workington respectively. It is important to us to make it as easy as possible for people to attend events on this especially important weekend. 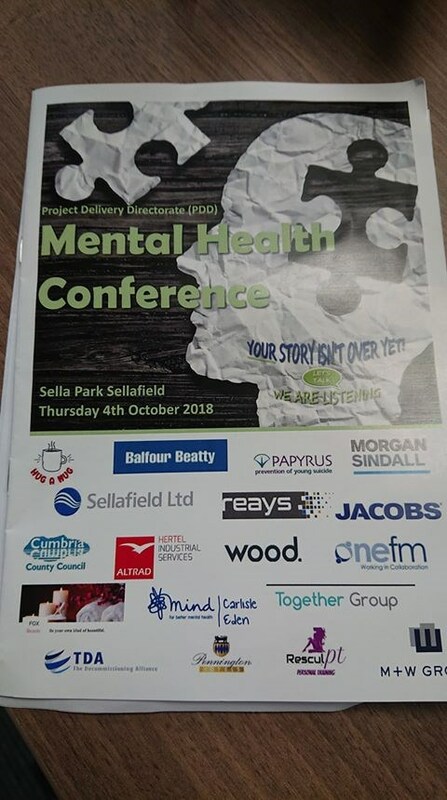 On Wednesday 5th October 2019 Reays was delighted to support the Mental Health Conference at Sella Park on behalf of The Wellbeing Forum, providing free travel to and from the event. I had the pleasure of attending the forum in the afternoon where I witnessed an insightful and concise talk, focusing on spotting signs and the help and guidance available to support those who may have mental health issues. This was followed by various workshops to assist with supporting young minds. These included managing the physical and mental wellbeing of young people, a children and families care group and alternative therapies to help towards reducing stress and increasing mental and physical health. Following a comfort break we then heard an inspirational presentation from Jonny Benjamin MBE & Neil Laybourn who shared with us their own own experiences, talking us through the most extraordinary circumstances and how they are now championing mental health issues. I will admit Jonny and Benjamins story rendered me to tears as it highlighted the strength of the human spirit and how adversities can be overcome for both mental and physical health issues, and how we need each other to do this. Reays were proud to support this initiative bringing mental health to the forefront of peoples minds and we look forward to supporting further events of this type in the future. I would like to take this opportunity to say a big thank you and well done from everyone at Reays to all those involved in organising the conference which I thoroughly enjoyed and which was clearly a tremendous success. During the weekend of 29th and 30th September 2018 members of #TeamReays were delighted to take part in the 2018 Taste Cumbria festival which took place in Cockermouth. The event showcased around 80 stalls in the producers market, a hot food court in Market Place and there was also a secret gin garden, demonstrations and masterclasses with some of Cumbrias best chefs. Reays operated a park and ride service from Mitchells Auction Livestock Centre to Cockermouth town centre to ease congestion of parking within the town at the request of the organisers. This service was well utilised by many attendees of the festival. As well as the park and ride service we were pleased to have our own trade stand on Main Street advertising our brand new 2019 holiday brochure. This was a great opportunity for members of our team to talk about what the 2019 season will offer, with holidaymakers having the opportunity to ask questions and provisionally book their next holiday. 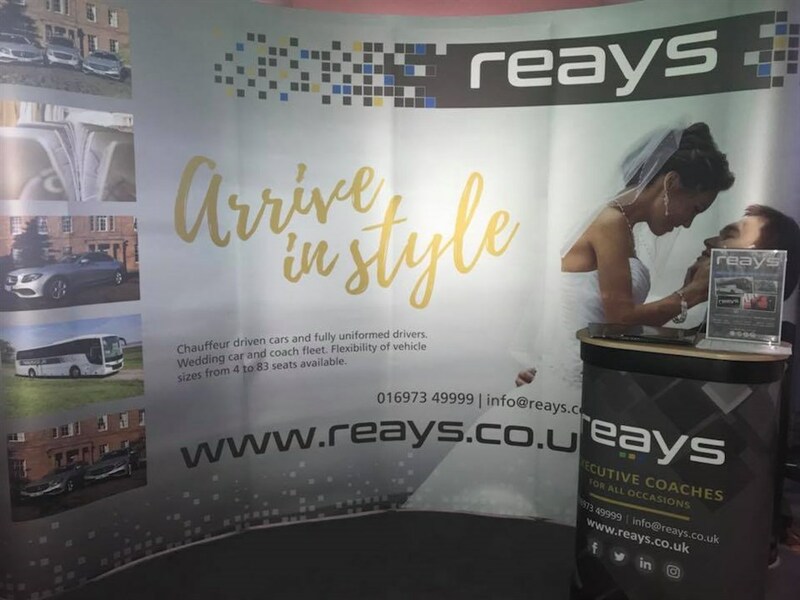 We had a fantastic time over the weekend meeting many new faces as well as catching up with those existing customers who enjoy the Reays experience. Taste Cumbria was a super event championing the finest food and drink and we were proud to support and be part of the event. 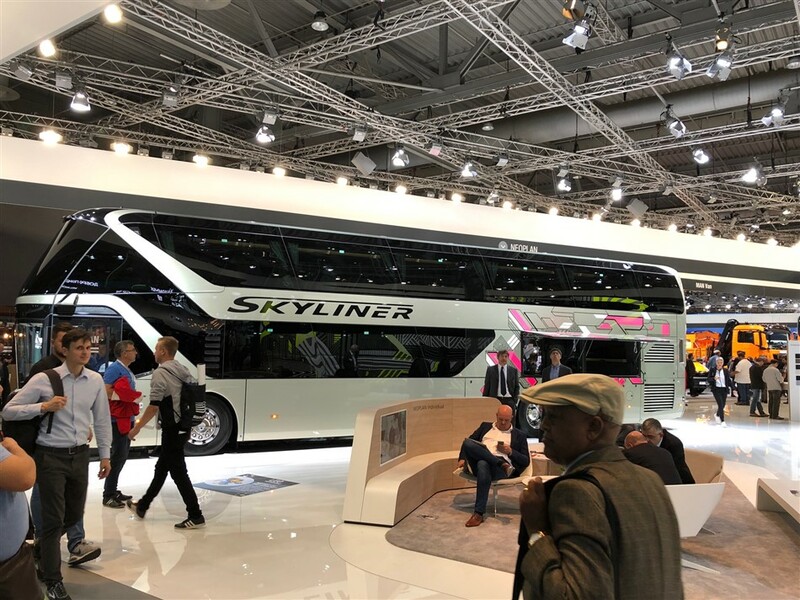 During the period 24th to 27th September 2018, I had the pleasure of attending the 67th IAA Hannover 2018 exhibition in Hannover, Germany. The International Motor Show is renowned as an exhibition which always comes up with great innovations and this year didnt disappoint. 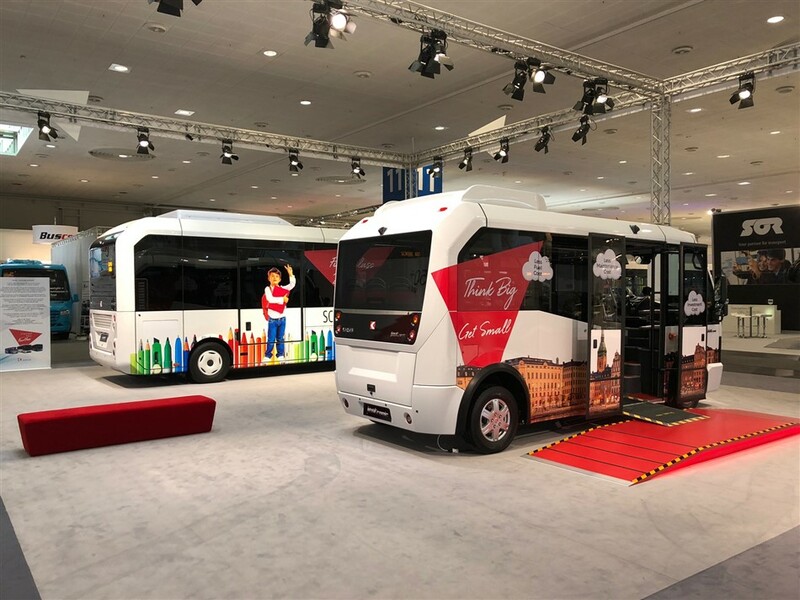 The IAA is the worlds leading trade fair for mobility, transportation and logistics showcasing exhibitors from several industries and is the worlds only mobility fair which represents the entire commercial vehicle industry. In total there were 2,174 exhibitors in attendance from 48 different countries. On all exhibition days the focuses were the megatrends of electric mobility, digitization and urban logistics. Electric mobility is now appearing on the roads and is ever growing in production, increasingly to urban buses. So will we see electric buses in the UK soon? Im sure we will as electric mobility is the future. As well as electric urban buses, medium-duty distribution trucks are also being electrified and many trade stands had e-cargo bikes on display for the first time. The exhibition was a fantastic success with the IAA positioning itself again as the marketplace for the experts in the commercial vehicle sector. On Saturday 22 September Shaun Murphy and I were delighted to be out and about in Carlisle City Centre, handing out our brand new 2019 holiday brochure. It was lovely to see old faces and put a face to the name along with welcoming new customers aboard the 53 seater Executive Coach we had on display showcasing the quality of a Reays holiday experience. Many of those that boarded and viewed the coach commented on how smart and comfortable it was. It was also great to be on hand to answer any questions regarding our upcoming holidays and point potential holiday makers in the direction of holidays that they might enjoy. We had a superb day which unfortunately was cut short as the day was so successful we ran out of brochures by 14.30!!! We'll be out and about in future weeks launching our brochure and look forward to catching up with many more people. A highlight for our Sales and Marketing team is getting out and about, promoting our range of services and nothing beats a wedding fayre! On Wednesday 12th September Charlotte and I were delighted to attend the Washington Central Hotel where we had the upmost pleasure in meeting many 'Brides to Be', nervous looking Grooms, as well as mums and dads and other members of the future bridal party. The event provided attendees with the opportunity to gain inspiration, meet suppliers, tour the venue and get excited in the preparation for their big day, complete with a glass of Bucks Fizz in hand. A wedding can sometimes be a stressful event with so many things to organise, one of those being transporting your guests to and from your chosen venue. It's one of the most important and memorable days of your life and you want to make sure it goes exactly as planned and that's where we can help. With a fleet of vehicles from executive cars to a double decker coach you will have peace of mind leaving your transport needs in our capable hands - giving you one less thing to worry about! We loved talking to all the happy couples, sharing our expertise and hearing all the plans for each's special day. We are looking forward to working with these Brides and Grooms in the future and are busy producing many personalised itineraries and quotes following the event. 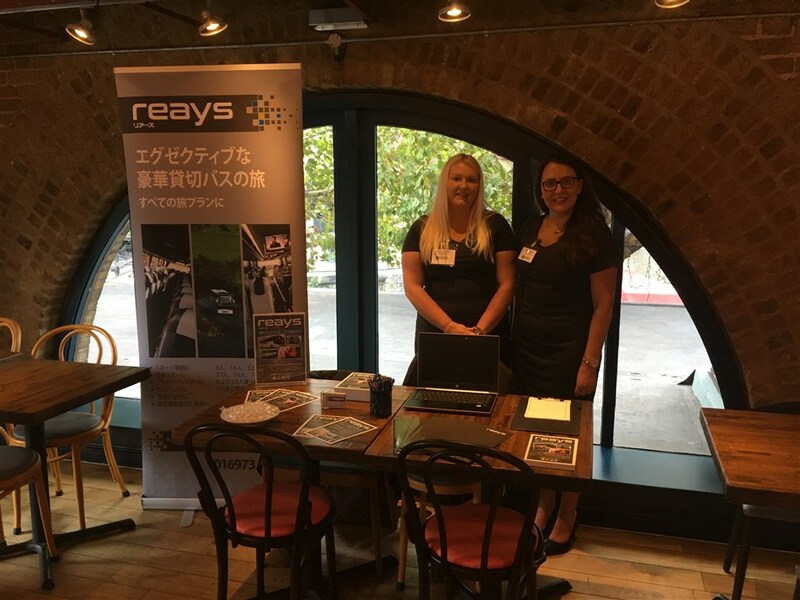 On Tuesday 11th September Jenna Harrison and I had the pleasure of travelling to London where we exhibited at Zizis on St Katharine Docks to the Japanese tour operator market. 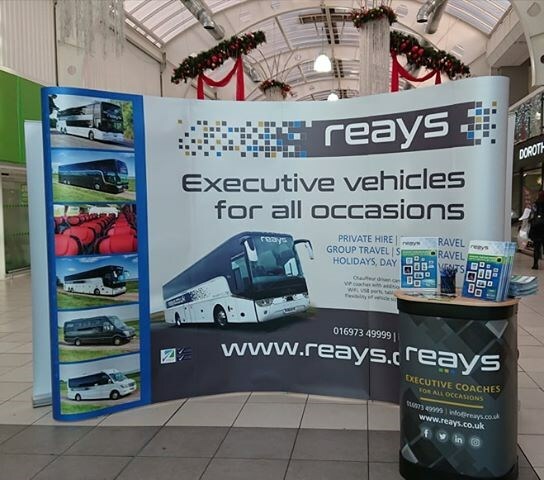 The aim was to showcase Reays Coaches, our extensive modern fleet of vehicles and share our expertise in managing and operating coach tours across the UK, Ireland and Europe. Delegates attending Zizis included a range of influential travel trade agents including Kuoni, G2, JTB and Virgin Trains to name just a few. Over delicious canapes and bubbly prosecco we had the opportunity to catch up with existing contacts, as well as meet new ones. For many businesses in the UK, Japan is still the number one market for overseas visitors and at Reays we already complete a number of tours for Japanese tour groups every year. The Chairman of the Lake District Japan Forum, Colin Fox welcomed everyone and thanked them for attending, before sharing some up to date news about the Lake District and showcasing a video of the Lake District and specifically the businesses in attendance. The Japan Forum is made up of a team of Lake District businesses who have forged close links with Japanese tour operators over the last 20 years. As well as Reays Coaches other businesses in attendance at the event included English Lakes Hotels Resorts & Venues, Lakeside & Haverthwaite Steam Railway, Windermere Lake Cruises, Windermere Jetty: Museum of Boats, Steam and Stories, The National Trust, The World of Beatrix Potter Attraction, Mountain Goat Tours and Lindeth Howe Country House Hotel. The trip to London allowed the tour operators to learn more about whats on offer in and around the Lake District and provided us with the chance to discuss new opportunities and itineraries for future visits. The event was a resounding success and I would like to take this opportunity to thank all members in attendance for their support, all guests for taking the time to come along and see us, as well as Zizis restaurants for the fantastic venue, food and drinks on offer. 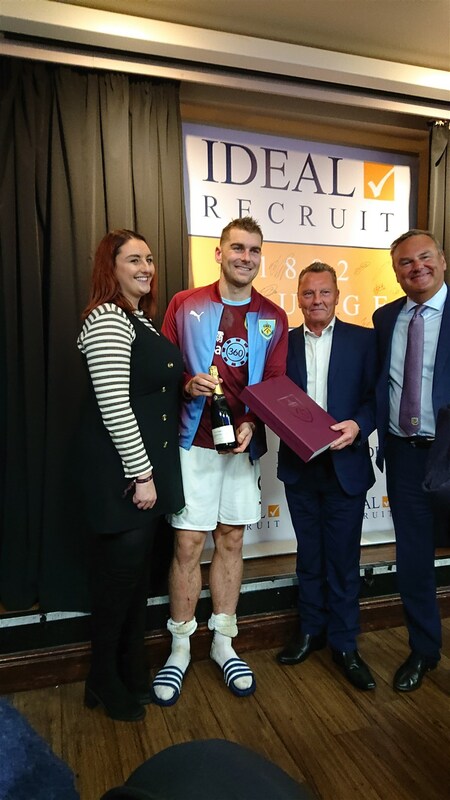 We were delighted to attend Burnley Football Club on Sunday 19th August for a full matchday of hospitality as the Match Ball Sponsor. After an early morning start we arrived at Turf Moor around 11.00am where we were warmly greeted and directed to the 1882 Lounge. Jeff Brown, Match Day Host welcomed everyone and provided the format for the day before we enjoyed a delicious three course meal. After lunch we were directed upstairs where we were seated in the directors seating area. As part of our matchday experience Burnleys First Team Drivers, Gary Winlow and Warren Sillitor had the opportunity to present the matchday officials with the ball pitch side, before kick-off -a tremendous honour! The atmosphere was electric throughout the match and while the final score of 3-1 to Watford was not the desired result, this certainly did not dampen any spirits and we still all enjoyed a fantastic day out. On return to the 1882 Lounge after the game as part of the presentations, I was invited onto the stage on behalf of Reays, to receive a display cased match ball, signed by all the Burnley FC squad and presented to me by Burnley's Man of the Match, Jack Cork along with the Chairman of the club. We would like to take this opportunity to thank the club for the fantastic hospitality we received and wish the Clarets all the best for their continued journey in both the Europa League and the Premier League. We are delighted to announce the extension of the 64a bus service through Carlisle to help local residents transport throughout the city centre. As well as a new bus stop situated on Glaramara Drive in the newly developed Persimmon Homes Brackenleigh estate, we have also incorporated Morrisons into the popular 64a route, adding to the variety of supermarkets and shops it already serves, namely Houghton Hall Garden Centre, Asda and Kingstown Retail Park. This makes the route perfect for mandatory shopping trips, or some retail leisure throughout the day. The new route with commence on Monday 10th September running six days per week, Monday to Saturday between 7.30am and 18.30pm, with both the local council and DVSA supporting the introduction of the revised service. Copies of the revised timetables will be made widely available to passengers in the run up to the September changes or alternatively are available on our website. 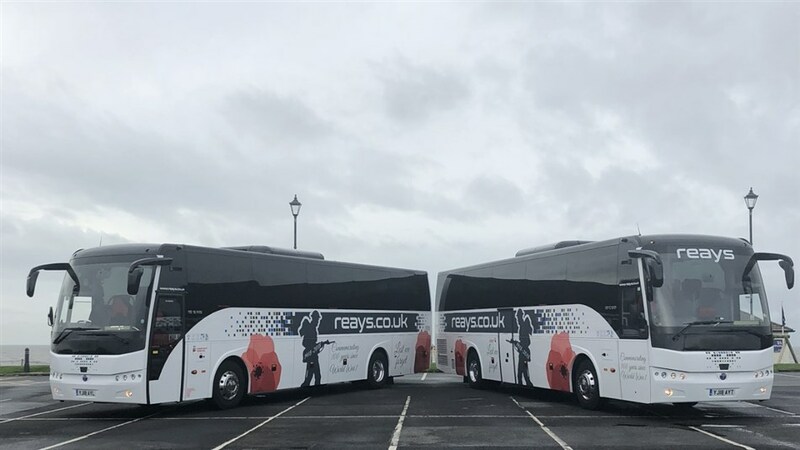 Reays Coaches will continue to be tasked with ensuring the safety and comfort of the first team squad of Fleetwood Town FC to matches into the 2018/19 season and beyond. 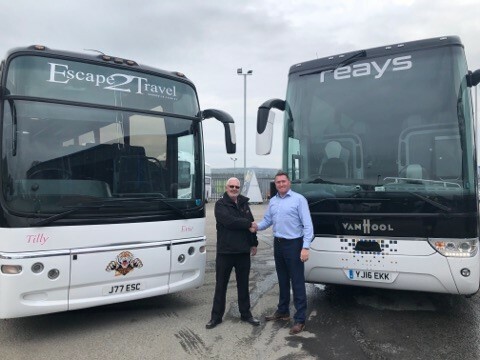 Kerrie Allison, Head of Sales and Marketing at Reays, said: "It's a fantastic opportunity for Reays Coaches and Fleetwood Town to continue our partnership. It's unbelievable for our company to be associated with the football club, and we're looking forward to building on a very strong relationship over the next two years." Ashley Eastman, Defender at Fleetwood Town added "I speak on behalf of all the players when I say we love travelling with Reays Coaches, the staff are fantastic, and they ensure that the players get the best possible experience ahead of a match. It's great to see the partnership extended." Beyond some savvy additions to the squad, it turns out that a new coffee machine on the team's bus might just be making all the difference for the seventh-placed Burnley, who are yet to lose away from home this season in their best ever start to a Premier League campaign. 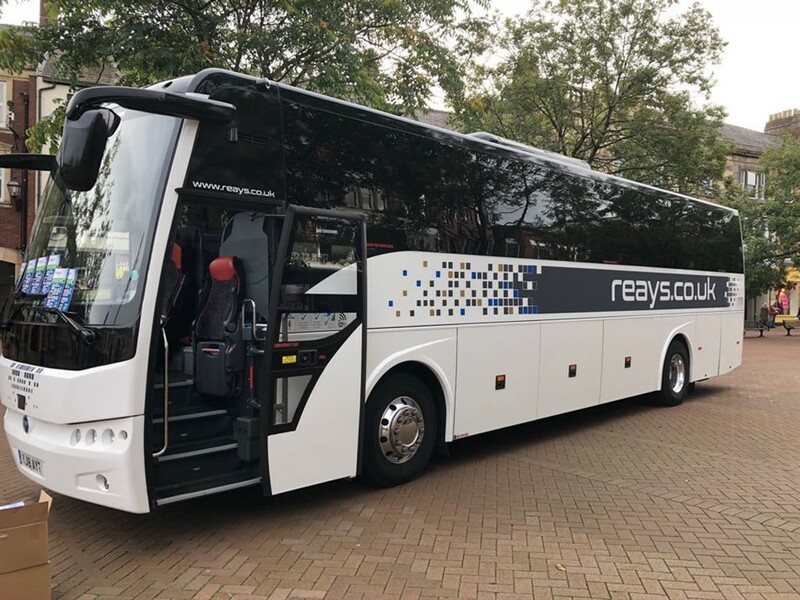 The Carlisle-based coach company, Reays, originally invested £250,000 in the amenity-laden vehicle once Burnley secured promotion back to the top flight following their Championship-winning 2015/16 season, kitting the Clarets' bus out with everything a modern footballer could ever need. "We spent a lot of money on it to get it exactly as Burnley wanted it, it was specially designed for them," said Reays' Head of Corporate, Simon Woodward. "It's got Apple TV, a full Bose surround-sound system, phone chargers in the tables so you put your phone down and it charges them. "It's got a club lounge in the back for players to play cards, Sky TV, WiFi," Simon continued. "A full range of kitchen equipment, an oven, two microwaves - they like to cook on the way home! "It's even got a management area, so the front section is partitioned off so Sean Dyche and his assistants can analyse the games," Simon said. Right down to claret and blue lighting, Reays - which has been providing the Burnley FC bus for around five years - have left no stone unturned, and the marginal gains offered by such plush surroundings are starting to add up. Despite taking until their penultimate away game to pick up their first three points on the road last season, Sean Dyche's side have already claimed two long-haul wins this season, opening their campaign with a barnstorming 2-3 victory at Stamford Bridge, the home of the league champions, Chelsea. They have also secured creditable draws against Liverpool and Spurs on the road as well as a victory at stuttering Everton, winning eight out of a possible twelve points to better last season's tally of away points after just seven matches. "We were disappointed that they only managed to win one match away from home last year but we always kept faith and knew they'd come good," said Reays Company Spokesman, Vic Gibson. "We're not surprised they've turned it round and we'd like to think Reays played a part." One other thing has changed on the bus too: a new second driver - Lee Corcoran - has been hired to help regular driver, Alan Humpage, share the load during the more taxing drives to London, Bournemouth, Brighton, Newcastle, and Swansea. And while Lee won't be required for the relatively short trip to East Manchester for Burnley's match against high-flying Manchester City, the Clarets will need any edge they can get to ensure their sparkling away record stays intact come Saturday afternoon. 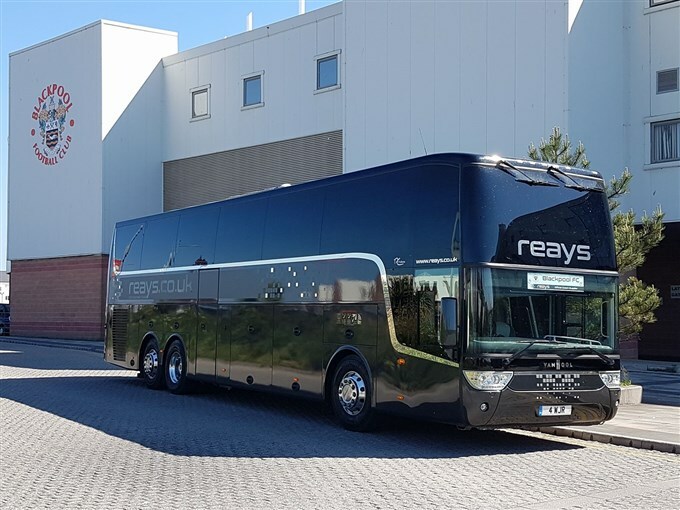 But according to Simon, all Reays can do is make sure the players are relaxed and ready to perform, and while their form away from home comforts may not be solely down to a few lattes and cappuccinos, ensuring the bus is a "team bonding area" is crucial. "The lads need to be laid back as possible," he said. "At a Premier League standard, the coach has to be in tip-top condition and that's what we tray to provide." Reays rounded off the 2016-17 football season as Wembley winners when Blackpool beat Exeter City 2-1 in the League 2 play-off final at the bank holiday weekend. We provided the team coach for Blackpool's players, taking them to Wembley and back home after their promotion-clinching victory over Exeter, who had beaten Carlisle United in the semi-finals. Hopefully we can be back at Wembley again in 2017-18 with Carlisle or with one of our other professional football clubs including Burnley, Fleetwood Town, Morecambe or Accrington Stanley. 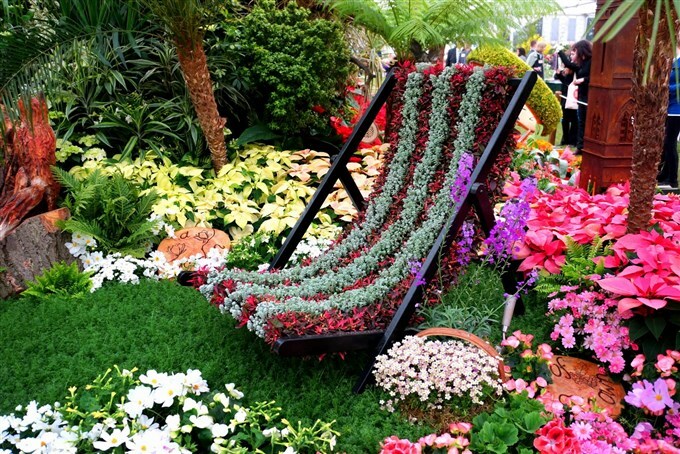 Blooming marvellous - that's what passengers on our trip to Chelsea Flower Show thought of their two-night break to the world famous annual event. Everyone who filled in their feedback forms when coming home from London on Sunday rated the overall experience as excellent, bar two who both said it was good. 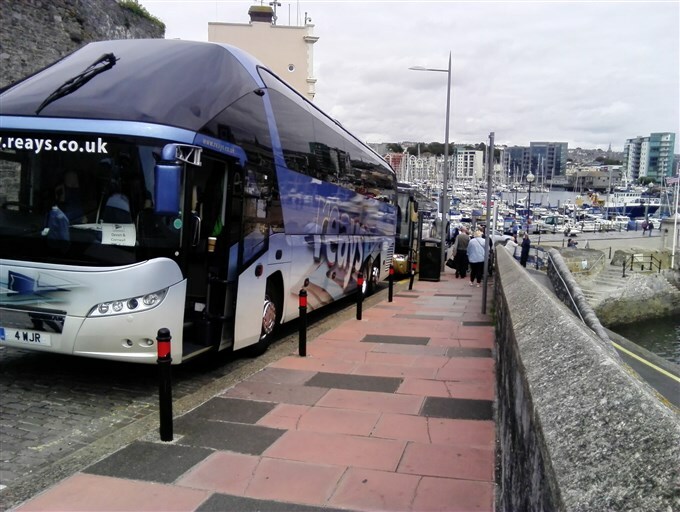 Satisfaction levels were even higher with staff on the coach and in their hotel, with passenger Jack Sproat commenting: "The driver was first class. Could not fault anything and the information the gave us was great. Thank you so much." Dorothy McBride, one of 34 passengers who went to Chelsea, added: "The driver was very courteous, professional in his manner, informative and friendly." We will be running a similar three-day trip to the 2018 Chelsea Flower Show on May 25-27 next year, also visiting Woburn Abbey instead of Kew Gardens this time. Bookings can be made now on www.reays.co.uk or give our Travel Centre a call on 01228 267267. Our trip to the set of ITV soap opera Emmerdale cleaned up the awards from passengers who told us how much they loved their two-day mini-holiday in the Yorkshire Dales. 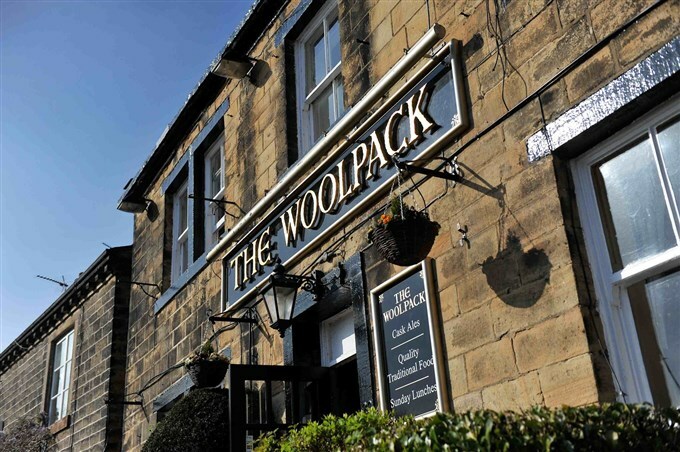 The dinner, bed and breakfast break included time in Leeds and Skipton as well as entry to Emmerdale - The Tour, which took them into The Woolpack pub as well as Bob's Cafe, Home Farm and the village church - all scenes of famous soap dramas. * 15 rated the staff as excellent, the other rated them as good. * 15 rated the coach cleanliness excellent, the other rated it as good. * 14 rated the overall travel with Reays as excellent, the other two rated it as good. Besides the high ratings, passengers also commented on how good the trip had been. "The hotel was at a high standard and the driver could not have been any more helpful, caring or polite. He ensured we drove by places of interest on the way home," said Shirley Thorn. "Our driver explained everything clearly and professionally throughout our journey. He was helpful with anything we asked about our journey," was Mr P Pewman's comment. Our party stayed at the Mercure Bradford Bankfield Hotel, set in eight acres of grounds close to Saltaire and Bingley. Accommodation, meals and return travel, including admission to Emmerdale - The Tour, cost just £129. 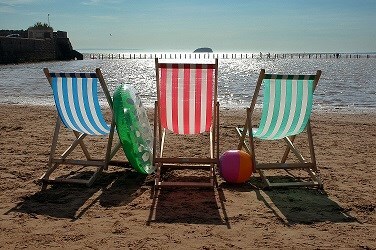 For more holidays and breaks, go to www.reays.co.uk. Excellent - that's was how our SuperSaver holiday to Weston-super-Mare was rated by everyone who returned from the five-day stay on the Somerset coast last Friday. That's everyone who completed our feedback form bar one passenger, who rated the £199 seaside holiday, including four nights' DBB and free trips to Glastonbury and Burnham-on-Sea, as Good. Seats are still available on some of our remaining 2017 SuperSaver seaside holidays to Brighton, Eastbourne, Bournemouth, Torquay, Llandudno, Southport, Scarborough or Prestwick from now to September from just £199 DBB Monday-Friday. REAYS ARE TOPS FOR LAND, SEA AND RAIL! We always like to receive positive feedback from passengers on our holidays - and those who arrived home yesterday from Northern Ireland were quick to praise their four-day break. Everyone who completed a Feedback Form rated the Monday-Thursday holiday as excellent, Cath Hodgson saying: "Could not fault the trip in any way. Our first with Reays and we will definitely be booking again." Shaun Murphy was the driver on only our second UK holiday of 2017, with guests staying at the riverside Dundary Hotel near Antrim, complete with indoor pool and gym, and visiting Giant's Causeway and Belfast's Titanic Experience. Pauline Parmeggiani said: "Shaun was great  Very helpful, pleasant and an excellent driver." The package included return coach travel and ferry crossings along with three nights' dinner, bed and breakfast and a trip on the Portrush to Derry railway, which Michael Palin called "one of the most beautiful rail journeys in the world." Reays are steaming ahead with a packed programme of holidays and day trips for 2017. We're running nearly 50 different coach holidays to destinations all over the UK, Ireland and Europe for two to eight days from as little as £129. Plus we've got dozens of day trips to all sorts of amazing places, from £16.50 for adults or £14.50 for kids, with pick-up points throughout Cumbria. 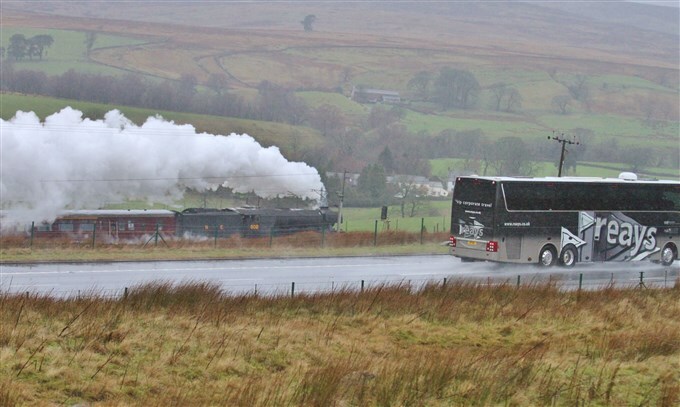 And our luxury VIP Van Hool coaches are so good that they even leave the famous Flying Scotsman behind! So don't go loco - book with Reays on reays.co.uk or call 01228 267267. Earlier this week we gave you our top five holiday destinations for 2017, according to bookings we've received so far. Well here are the five most popular day trip choices for Reays passengers up to now in what is proving to be a very busy year. It's a real mixture of shopping, sightseeing, history and TV soap - but if you prefer a show, there's Mrs Brown's Boys at Liverpool or Bat Out Of Hell at Manchester's Palace Theatre. And there are plenty more great places to enjoy a day out with Reays, such as Blackpool, Harrogate, Whitby, Glasgow, Largs or Holy Island in Northumberland. Day trips start for as little as £16.50 - or £14.50 for kids - with return luxury coach trip and local pick-up points including Carlisle, Wigton (free parking), Penrith, Aspatria, Egremont, Maryport, Workington, Whitehaven, Cockermouth and Keswick. Reays holiday brochure for 2017 is already proving our most popular ever - and we still haven't reached the end of January! Hundreds of people have booked early to guarantee their seat on coaches bound for top destinations all over the UK as well as Ireland and Europe. And here are the current top five places Reays passengers want to go on holiday this year, according to bookings we've taken so far. Top-of-the-table is our five-day holiday to Brighton in April. One of our new SuperSaver seaside holidays, it offers unbeatable value at £199, including dinner, bed & breakfast - plus day excursions to Eastbourne and Lewes. Beat that! Just outside the top five are some great holidays to shows and events like Chelsea Flower Show, Royal Ascot and the British Grand Prix. Other popular destinations include Jersey, the Isle of Wight and Dublin or English resorts like Torquay, Bournemouth and Scarborough or across the channel to Holland or Germany. Click on this link - www.reays.co.uk/Tours/All-2017-Holidays - to find details of all the great places you can go on holiday with us. Book your seat before February 28 for just £10 per person. YULE NEVER TYRE OF CHRISTMAS WITH REAYS! 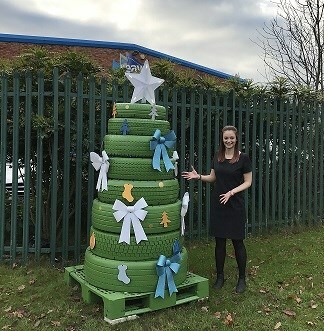 A unique Christmas tree made entirely of tyres is bringing some festive cheer outside our headquarters at Wigton. Eight different sized tyres have been carefully stacked on top of one another and sprayed green to form the one-off Christmas tree. And we've even covered it with decorations and illuminations and put a big star at the top that lights up to round things off. "Roll on Christmas," said managing director Chris Reay, who came up with the idea of recycling tyres from cars, vans, buses and coaches to form our own special tree this year. "It's green in every sense as the tyres have all been used on our vehicles and normally get taken away for recycling," he added. Our photograph shows marketing assistant Rosie Groves with the tree. Come and see the tree in Syke Road and call in to pick up our new 2017 Coach Holidays brochure, also available at Reays Travel Centre in Devonshire Street, Carlisle. Book any of our 46 holidays in the UK, Ireland and Europe before February 28 for just £10 deposit per person. Congratulations to Beverley and Richard Brogden, who celebrated their 51st wedding anniversary with a day out aboard Reays' Ullswater Steamer Cruise. The couple, from Silloth, enjoyed a boat trip out on Ullswater and afternoon tea at the Inn on the Lake as part of their special day in the Lakes, including luxury return coach travel. "It was brilliant. We really enjoyed it," said Beverley, 68. 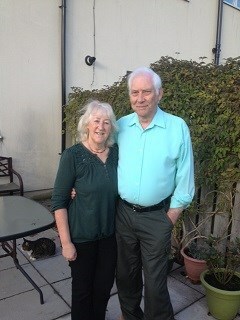 "We went for a meal with the family on our 50th anniversary last year but there was just the two of us on this. It was very nice. "I have told everyone we went on a cruise for our anniversary! We go on quite a few day trips with Reays. They do a nice one to Lancaster where you get a little trip on the canal," added Beverley, whose husband is 73. The couple, who were married on November 13, 1965, are retired entertainers, having performed together as musical duo Black On Gold at clubs and pubs alongside the likes of 60s chart-toppers The Searchers. They have one daughter, also called Beverley, and five grandchildren. Christmas has come early this year for Andrea Dougan thanks to Cumbrian bus, coach and holiday company Reays. The mum-of-two will be off to Edinburgh in November after winning a weekend Christmas shopper break to the Scottish capital. "I couldn't stop smiling after they told me I'd won," said Andrea, 40, who will be taking husband Stephen with her on the one-night trip, staying at the Hilton Edinburgh Grosvenor Hotel. "I have been to concerts with Reays before with my daughters and friends to see One Direction and Robbie Williams in Newcastle and Manchester. I go on Reays' Facebook page to keep updated with whatever they have got on. "I saw a post about them giving away a shopping trip to Edinburgh as they were getting near 5,000 Likes - so I shared it and and totally forgot abut it. It's really handy travelling with Reays because they always pick us up from Whitehaven, which is ideal," she added. Michelle Stacey is commercial director for Wigton-based Reays. She said: "Congratulations to Andrea. I hope she enjoys her trip with us. It's nice to play Santa and give someone an unexpected early Christmas present." Caption: Andrea Dougan with daughters Molly (left), 12, and Bethany, 15. Many of our passengers will have noticed changes to some of our public bus services in Carlisle and west Cumbria, which were introduced last week. By and large, they have been well-received, with many passengers contacting us in person or via social media to say they liked the new timetables. Buses on our busiest Carlisle City Hopper route - the 68/68A - now run every 15 minutes instead of every 20 minutes. They also start earlier in the mornings and finish later in the evenings on weekdays and have a slightly extended route. Changes were also introduced to the routes and timetables for the 58 and 60 services in west Cumbria. "Thanks go to everyone for their support in the first week of the new timetables," said Reays commercial director Michelle Stacey. "We had good feedback in our shop in Carlisle about the changes to the 68 and 68A timetable, particularly the new extra section going to Ridley Road. We had lots of people coming in to get a new timetable and there were lots of positive comments too about the number 60 service that is continuing to run," she added. For details about all our bus timetables, go to www.reays.co.uk and click on Bus Services. A group of fund-raising cyclists visited our Wigton headquarters to say thank you to Reays after completing their Land's End to John O'Groats charity ride in 12 days. The four cyclists from Cumbria raised more than £6,000 for the Eden Valley Hospice in Carlisle, which is our charity of the year for 2016. So we were pleased to help by providing them with an eight-seater Vauxhall mini coach to use as a support vehicle during their 1,075-mile ride. "We wanted to call in afterwards and thank Chris Reay personally for his support," said trip organiser Richard Story, who is a volunteer at the hospice. "The vehicle was brand new and really good and Chris even supplied us with the fuel for it. It was a superb gesture as it enabled us to give more money to the hospice," added Richard, 58. He completed the ride with his brother Brian, Ian Ramsay and Malcolm Brown, who each clocked up 12 hours a day in the saddle. Back-up was provided by Robert Keenan, who is also a volunteer at the hospice. The ride was in memory of Ian's friend Michael Aird, from Silloth, who was cared for at the hospice before he died aged 44. 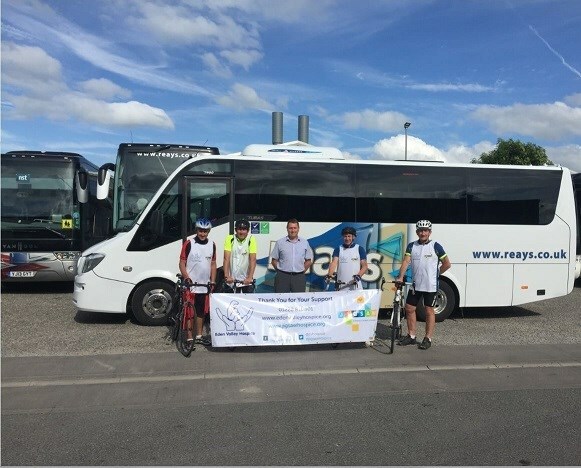 Chris Reay said: "Congratulations to Richard and the team on completing the ride and raising so much money for a charity that is very close the heart of all of us here at Reays." Canny Cumbrians are choosing to holiday at UK resorts ahead of what is forecast to be a record-breakingly hot summer in Britain. 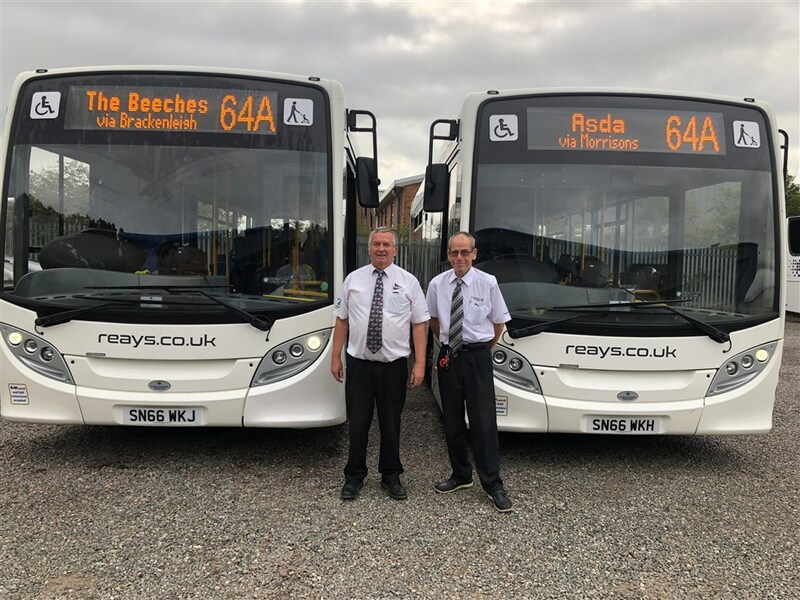 Wigton-based bus and coach company Reays, which runs its own holiday business, is having to lay on extra seaside breaks because of the success of its Super Saver programme since it was launched earlier this month. The bargain five-day coach trips to Bournemouth or Southport from just £179 in August and early September include four nights' bed, breakfast and evening meals and have quickly been snapped up by dozens of bargain-hunting passengers. Michelle Stacey, Reays' commercial director, says the UK's forecast for a sizzling summer allied to public concerns about airline security and airport strikes make the firm's value-for-money Super Saver coach holidays an extremely attractive combination. She said: "Demand has way exceeded our expectations. Just a couple of weeks into our first ever Super Saver bookings, we are already planning to run additional trips to Bournemouth, Southport and other UK resorts. "It's great to see people going for good old-fashioned British seaside breaks and taking advantage of what looks like being a great summer here while avoiding all the modern worries of catching flights. We're keeping everything sensibly priced and our Super Savers are selling out really well and very fast. "Passengers are all booked into named hotels and the quality of our coaches and drivers is as high as ever. And with Reays being a Cumbrian company departing from Cumbria, there is no unscheduled tour of Britain or lengthy interchange before you actually start your holiday. Once we get on the M6 in Cumbria. that is it." Reays runs one of the biggest fleets of private hire coaches in the north of England. Pick-up points are provided on its Super Saver Holidays at towns across Cumbria, including Egremont, Whitehaven, Workington, Maryport, Aspatria, Cockermouth, Keswick, Wigton, Carlisle and Penrith. The national media has recently reported that Britain is set for three months of hot weather, with some forecasting the hottest summer for more than a century. There have been reports that the highest ever UK temperature of 38.5C could be beaten as extreme "heat surges" are swept in from the continent. The predictions hinge on a rare set of meteorological circumstances. Rebecca Lindsay, of the National Oceanic and Atmospheric Association, said: "This shift disrupts the atmospheric circulation patterns that connect the Tropics with the Middle Latitudes, which in turn modifies the mid-latitude jet streams." The UK's previous summer scorchers include 2003, 1976 and 1959.
heric circulation patterns that connect the Tropics with the Middle Latitudes, which in turn modifies the mid-latitude jet streams."